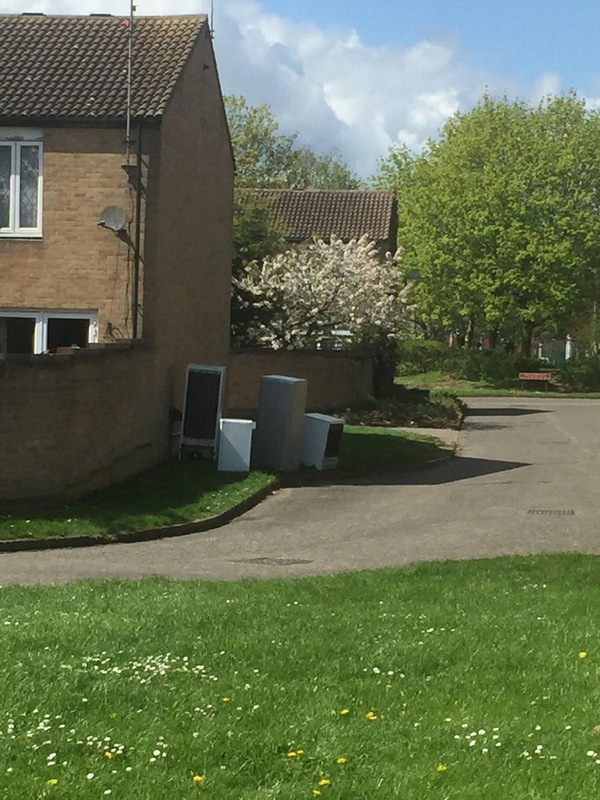 Peterborough City Council is currently undertaking a massive programme of work to upgrade and improve the street lighting across the city. Orton residents may have noticed that the lights in their street have already changed from the old sodium type to the more energy efficient and less polluting LED variety. The LED lights will provide a 73% decrease in harmful carbon production, which will cut emissions by 3,500 tonnes per year. We're also told the new lights will save Peterborough City council a staggering £25million over 20 years. Not everyone's a fan of the new lighting and it may be a case of getting used to the new brightness at night time. Other people love the new 'daylight' lamps. If you have to walk your dog in the darker months the lighting provides a sense of greater security. But there is one issue on which everyone agrees: the lights should be on when its dark and off when it's light. 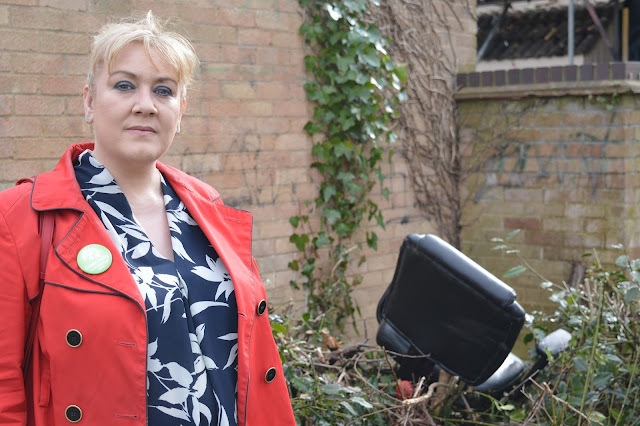 I was recently contacted by residents of Orton Wistow and Orton Brimbles who have noticed that at least 20 of the old sodium lights along Oundle Road are burning twenty-four hours a day. Residents are very concerned about how much money is being wasted on this unnecessary lighting. I'm told some of the lights have been on permanently for months. 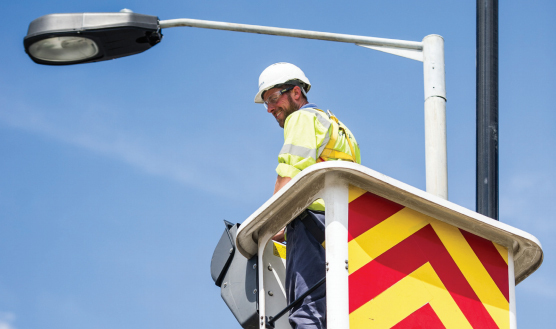 Find out more about the council's LED street light upgrade project. 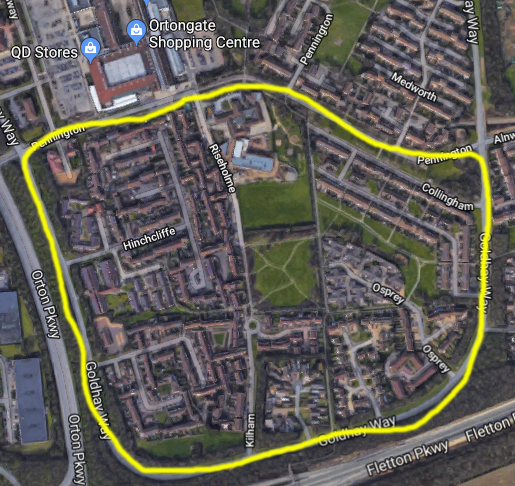 Skanska is the company delivering the project on behalf of Peterborough Highway Services, which is a partnership between Peterborough City Council and Skanska. Find out more about the partnership. Hi, my name is Barry Warne. 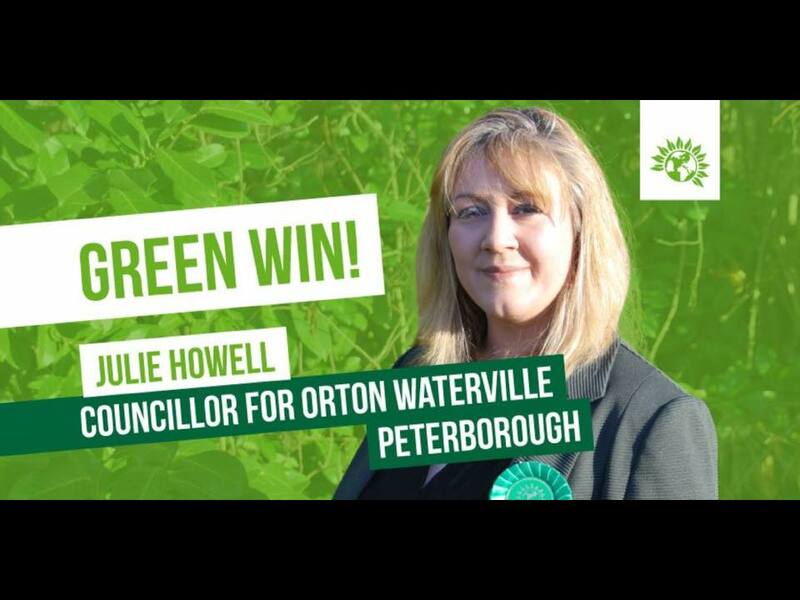 I'm an active member of Peterborough Green Party as well as sitting on Orton Waterville Parish Council. I've lived in the Ortons for 30 years, starting in Brimbles and now residing in Wistow. Like anywhere, we have our problems, but all in all I think the Ortons are a good place to live with plenty going on around us. Over the coming months I will be sharing some of my thoughts on the Orton Blog. 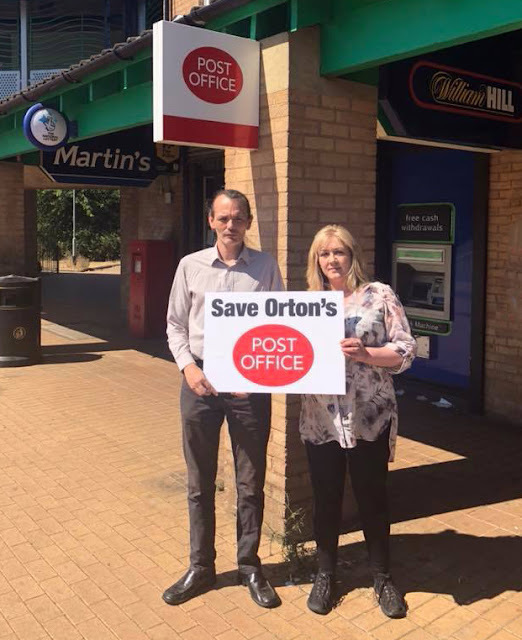 A few months ago, we were alarmed to learn that two of Orton's three post offices - the one in Herlington and the one in Ortongate - were set to close. 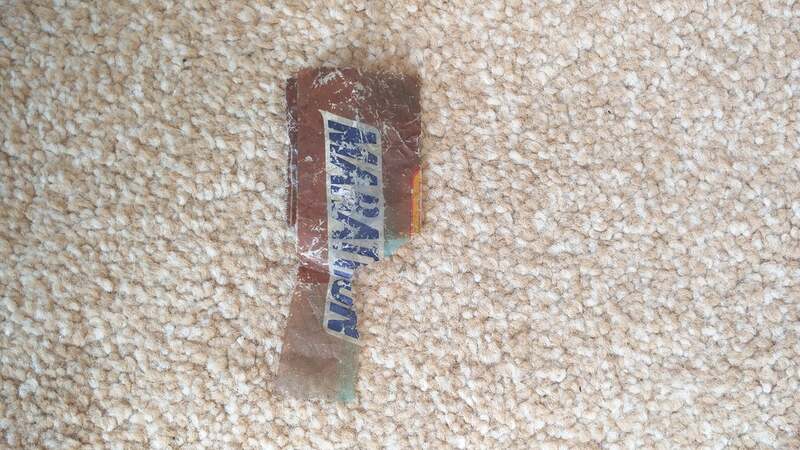 Both were located inside branches of McColl's newsagents. With McColl's taking the decision to close both of its Orton branches the future of the treasured local post offices looked bleak unless another business could be found that was willing to host a post office franchise. Today, we have learned that the post office in Ortongate is to be saved. It is moving from McColl's to QD. This is fantastic news for local people, who rely on the post office for many services, from banking to keeping in touch with friends and family. We first became aware that the post offices were under threat in February when a rumour reached us that both branches of McColl's in Orton were closing down. 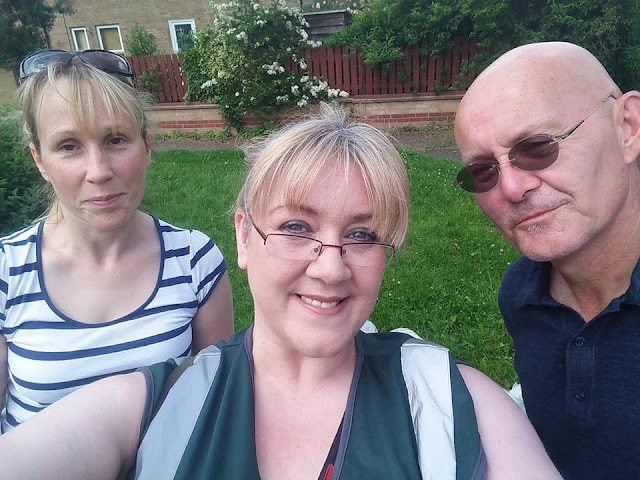 Julie immediately wrote a letter to the Peterborough Telegraph which supported our campaign to save the post office by following the campaign and writing a couple of articles about it over the following months. We also wrote a 'speakers corner' article for the Peterborough Telegraph in which we talked about the terrible impact that the loss of local post offices can have on local communities. 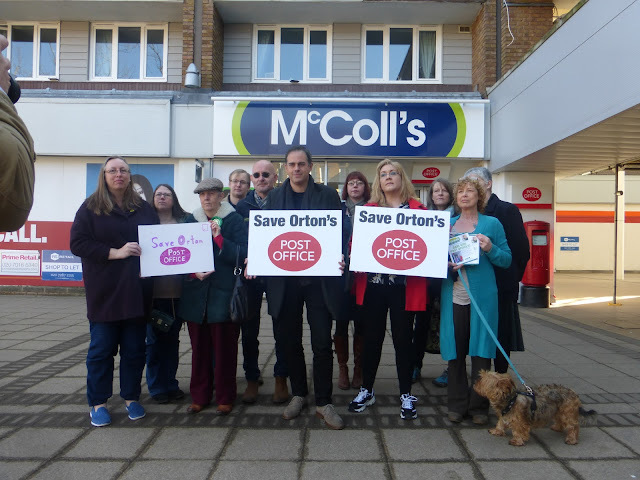 Then on Monday 26th March we were joined by Green Party co-leader Jonathan Bartley and a number of local residents in a demonstration outside the McColl's in Ortongate, where we made local residents aware that the post office was at risk an called on local businesses to step in and save the vital service. from Julie Howell on Vimeo. 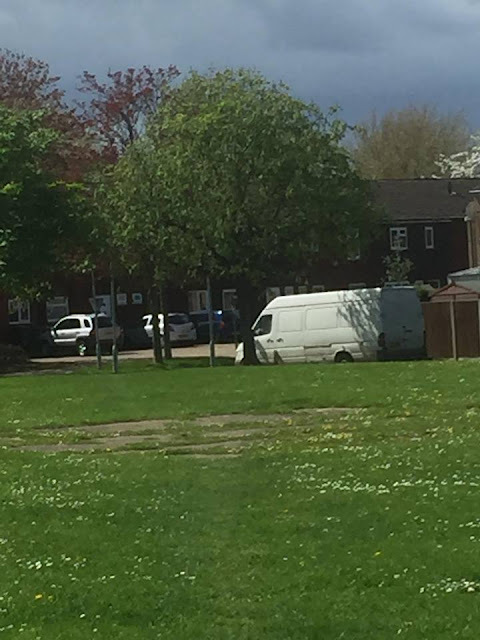 All went quiet for a while while local campaigners from across the political spectrum worked hard to spread the message that unless a new franchisee was found, people living in Orton could lose access to essential post office services, maybe for a short while, maybe forever. Then on Thursday 18th October 2018 we received the news we had all been hoping for. The Post Office got in touch to let us know that from the start of 2019 QD which, as local people know, is situated in Ortongate will be the new home of the post office. The Post Office says customers will access Post Office services at two low-screened, open-plan, modern serving points that are part of the retail counter. Working with QD, the Post Office will adapt the current store layout, fixtures and fittings to accommodate the Post Office tills if needed. The branch will offer a wide range of Post Office products and services. The Post Office says customer satisfaction with local style branches stands at 96%, and nearly 20% of local branch customers visit outside traditional opening hours. This is tremendous news, with some people in Orton already excited about the move to QD and saying they think it will be an even better location than McColl's has been. The Post Office would love to know your views about the re-location of the post office to QD. If you have any comments please leave them on the Post Office website. Hello, thanks for coming to find out more about me. I've recently been elected as Joint Coordinator of the Peterborough Green Party alongside my colleague and friend Alex Airey. 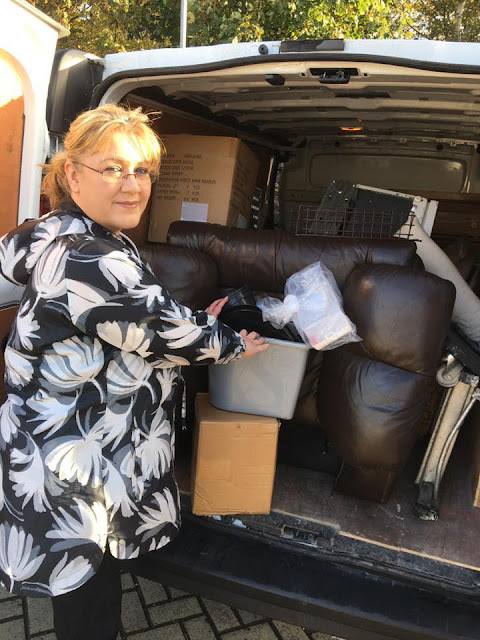 We've stepped into the rather large shoes of Julie Howell, our previous coordinator. 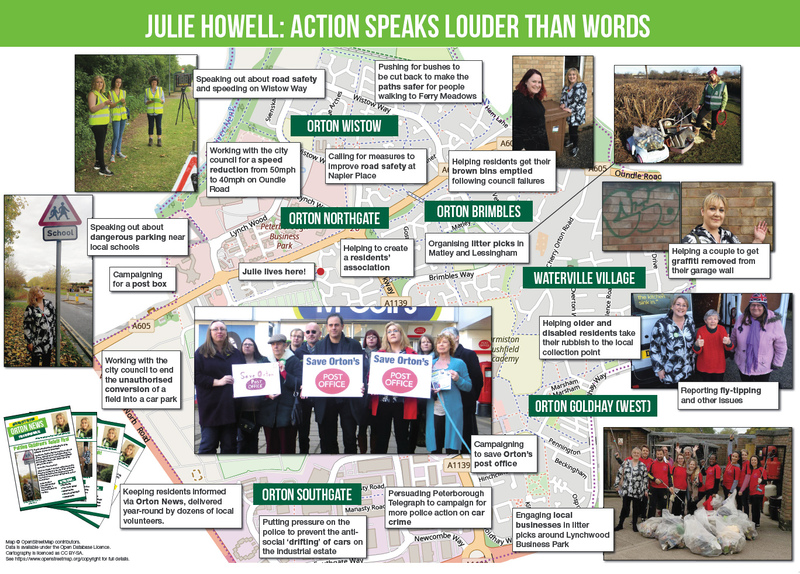 Julie has historically become our first Green City Councillor and has handed the baton to us to continue her good work. I grew up in Orton Goldhay with my mum, dad and brother. 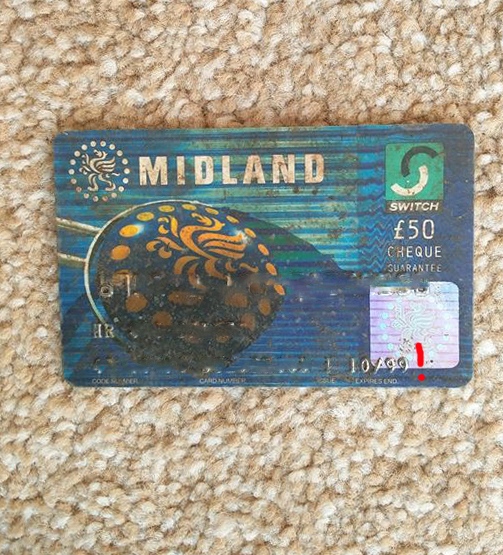 I spent my formative years roller skating around Hinchcliffe, Riseholme and Brundenell and playing street hockey on St John's playground. My parents moved to Peterborough when I was 4 months old, in 1978, just after they had adopted me. My Dad found work with Balfour Beatty electrifying the railway. I still look in awe at the railway lines whenever I leave and enter the city, and think of how my Dad helped make this way of travelling to and from Peterborough possible. Like many families we moved to Peterborough in its first phase as a 'new town'. My grandmother had seen an advert on television promoting the city and encouraged my parents to move here. They found work and made the move. 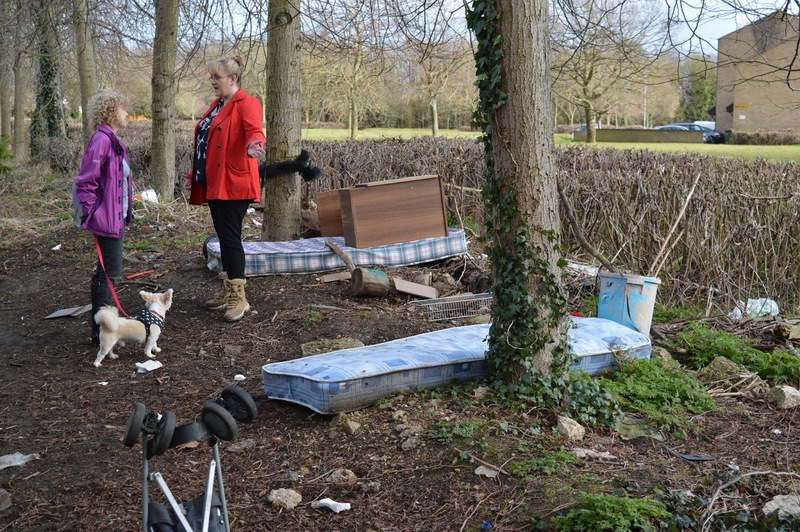 They moved from Essex where the housing was expensive and the work often piecemeal. So they came here to settle and raise us into a better life. 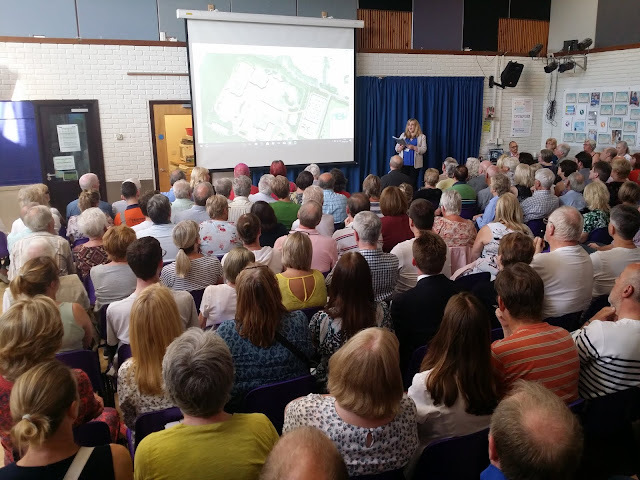 I attended St John's School and then later Bushfield Community School. I loved growing up in the Ortons. It gave us freedom and empowerment as children. In the summers we would play rounders on the back field behind Hinchcliffe (the area which is now Scotenden). We would play foxes and hounds and hide and seek. The streets were a safe place for us kids to grow up in and play, unfettered by adult intrusions. At 19, I had my son. I was young, but I was determined to give him the best chance in life. A year later I enrolled on an A Level Fine Art course at the Peterborough Regional College. I did this just as 'something to do'. But after getting a B grade at A Level, I realised that I may have more potential than I originally thought. I found out about an Access to Higher Education Course, which I enrolled on and passed. This then led me on to my degree in Cultural Studies, which I gained through the PRC via the University of Sheffield. At this point, I was so encouraged by the brilliant lecturers that had given me this chance to gain a degree, that I decided that I wanted to teach. I wanted to give hope to other children that may not have thought they are 'good enough' to reach their ambitions. I was accepted at Cambridge University to study at PGCE in English and Drama. This was difficult and challenging. I had to wake my small son up at 6am to then cart him off on the back of a bike to a childminder so I could catch a train to Cambridge. And people like me didn't really go to Cambridge University. However, I rose to the challenge and after qualifying started my first teaching job in Peterborough at Hereward Community College. In my first year at Hereward we got fantastic English results. We were all so proud. In 2010, I started an amazing job at a local poets' cottage. I began work in the heritage/museum sector developing the education programme at John Clare Cottage, Helpston, Peterborough. I encouraged many school groups to visit the cottage and worked with pupils who found it difficult to access the mainstream curriculum. I set up six week curators courses for pupils to attend to learn how to develop their skills in the heritage and museums sector. I enjoyed the museum work so much that I found a job and moved up to Northumberland to work on the Collections and Education Programme at The Fusiliers Museum at Alnwick Castle. I developed the activity programme and was responsible for recruiting, training and developing a volunteer team. After that I worked at Wakefield Museums as Community Programmes Officer, engaging the local community into Museum and Arts Projects. 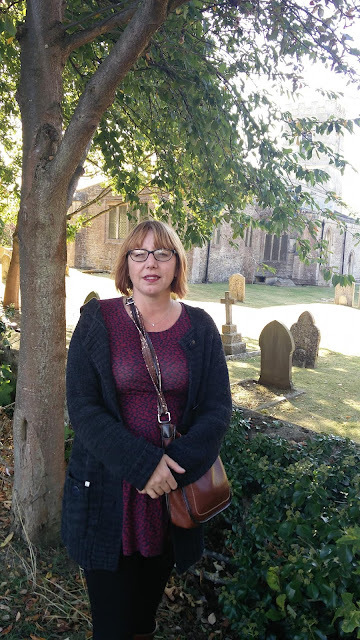 I returned to Peterborough and am now back teaching English in local schools, which I am really enjoying. 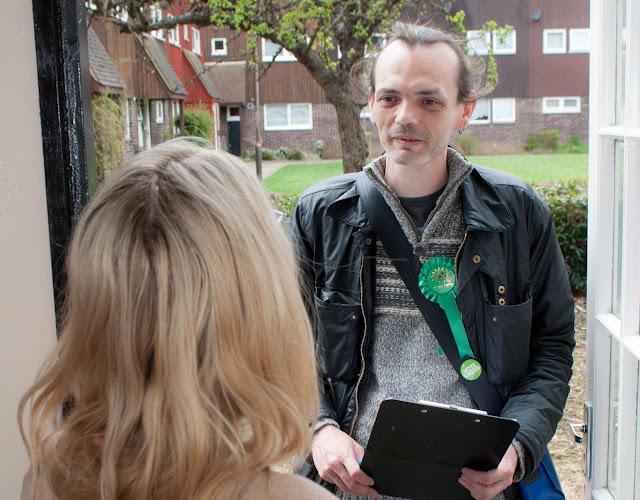 I have supported Green Parties in different areas up and down the country and can see how Greens can make a real difference to local communities. I stood as North West Cambridgeshire Parliamentary Candidate in 2015 and have most recently been supporting Cllr Julie Howell in Orton, both during and after her election campaign. 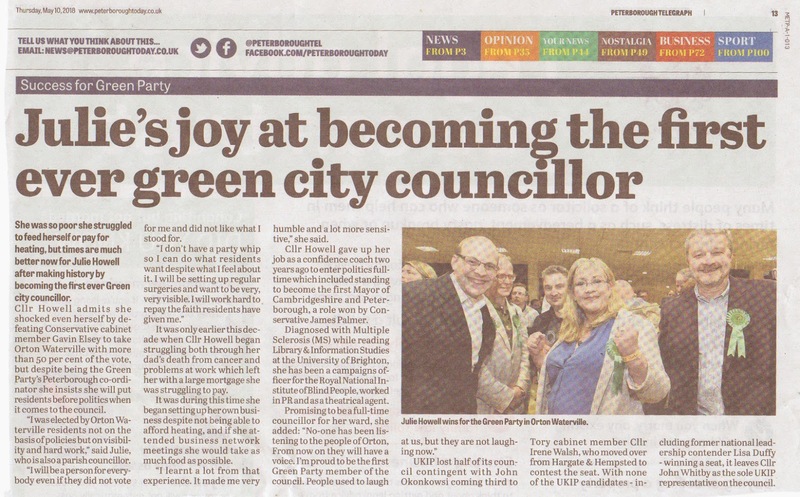 I am now one of the Peterborough Green Party Coordinators, a role I feel honoured and humbled to have. The Green Party really believes that developing sustainable and connected local communities can make a difference in peoples lives. It's not always easy in Peterborough as it has been fragmented to some extent by townships, and public transport is something we need work on. But I do believe, that we can work towards these goals of creating interconnected and supportive communities. 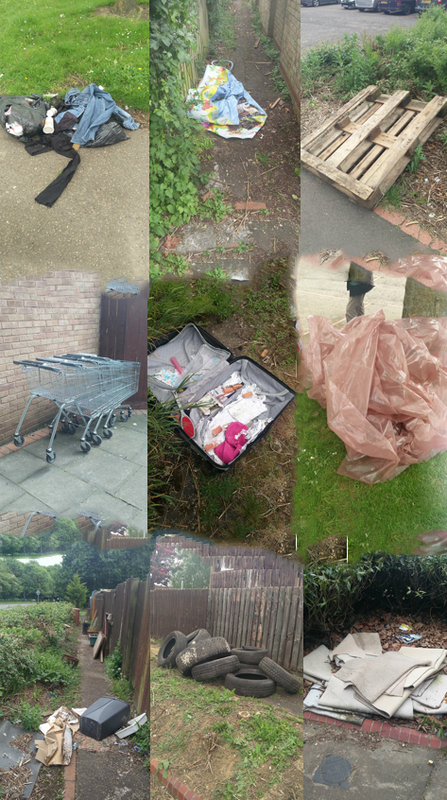 I look forward to keeping you posted about the work that Julie, Alex and I are doing in Orton. 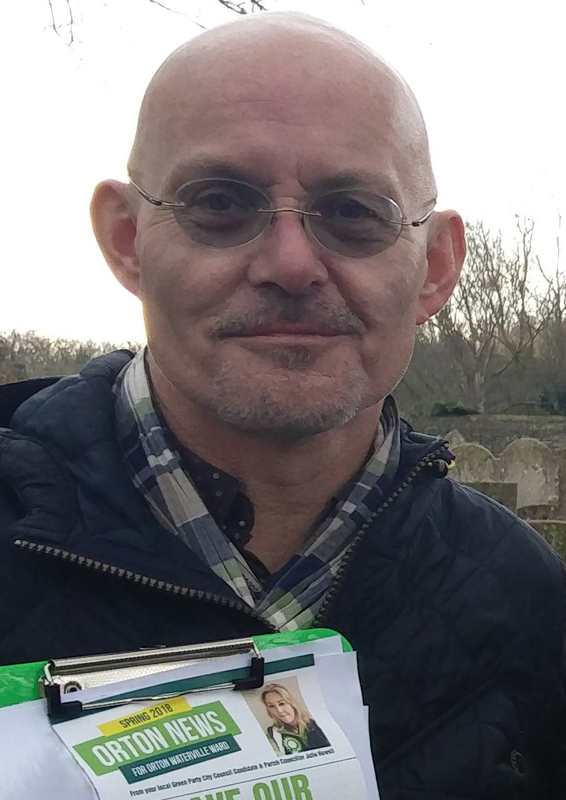 Alex Airey, candidate for Orton Longueville ward in the 2018 Peterborough City Council by-election. 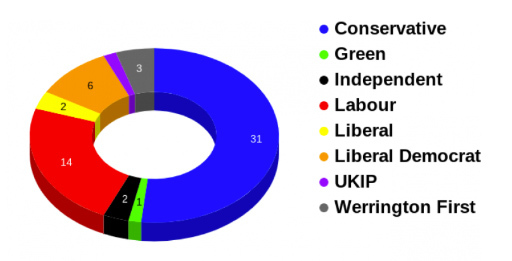 UPDATE: Alex did us proud at the election on 2nd August. 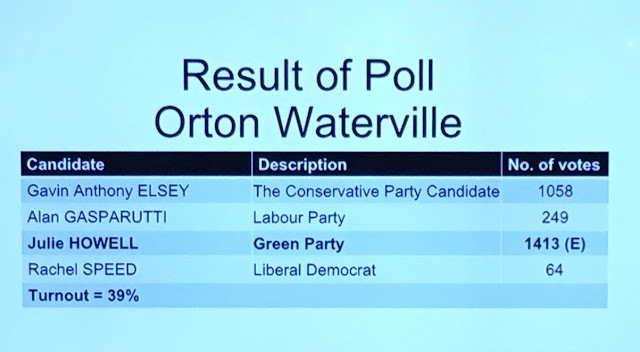 He didn't win a seat this time but he did succeed in increasing the Green vote share in Orton Longueville, a feat that is very rarely accomplished in a by-election. 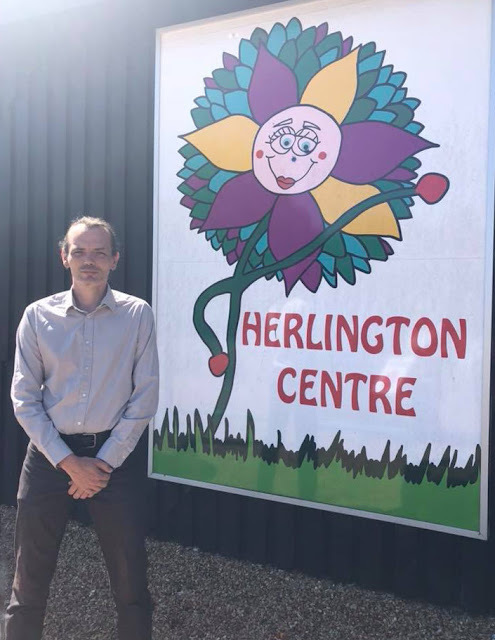 Alex is continuing his work as both a parish councillor and a community volunteer in the area. 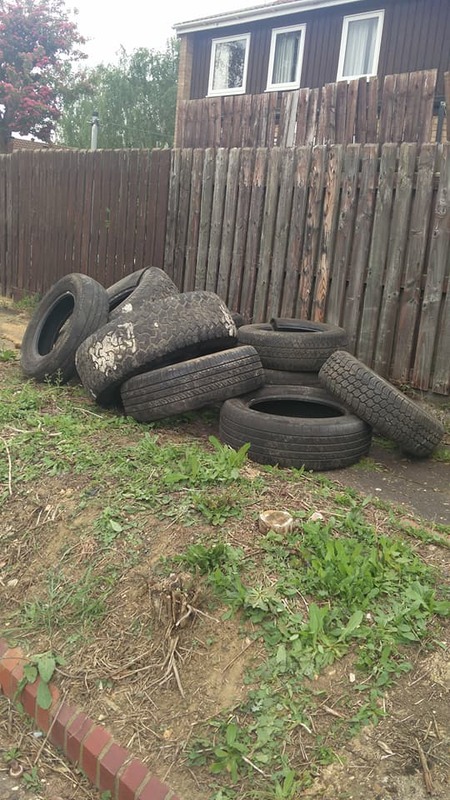 If you live in Orton Longueville ward and need Alex's help do contact him at alexairey@hotmail.com. I was delighted to be elected to serve as a City Councillor for Orton Waterville earlier this year. I didn't get here alone. 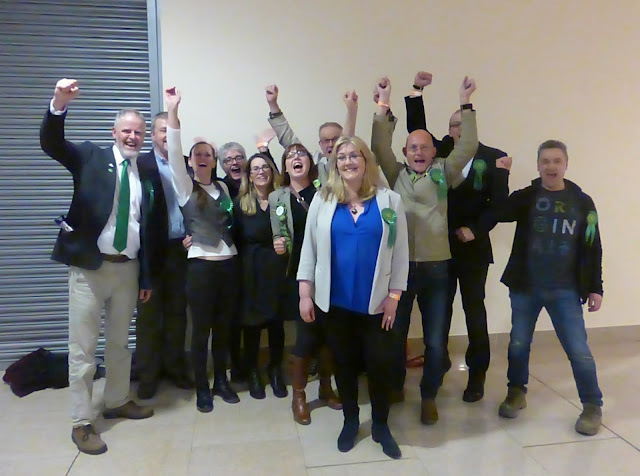 I had the backing of many local residents and also a fantastic team of other Green Party members. They stood at my shoulder for 22-months while I fought to win the first Green Party city council seat that Peterborough has ever had. Their sacrifice means that they stepped into the shadows while I stood in the spotlight. Now the time has come for this to change. 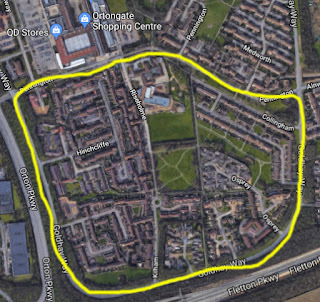 A few days ago, it was announced that there will be a by election in neighbouring Orton Longueville ward on Thursday 2nd August 2018. 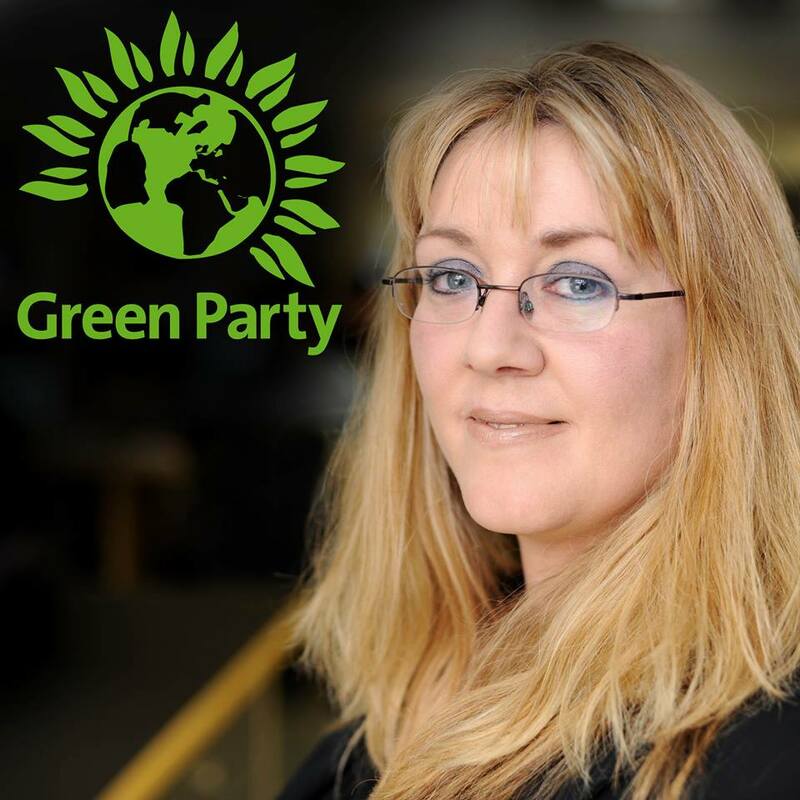 I'm thrilled to let you know that your Green Party candidate in this election is Alex Airey. 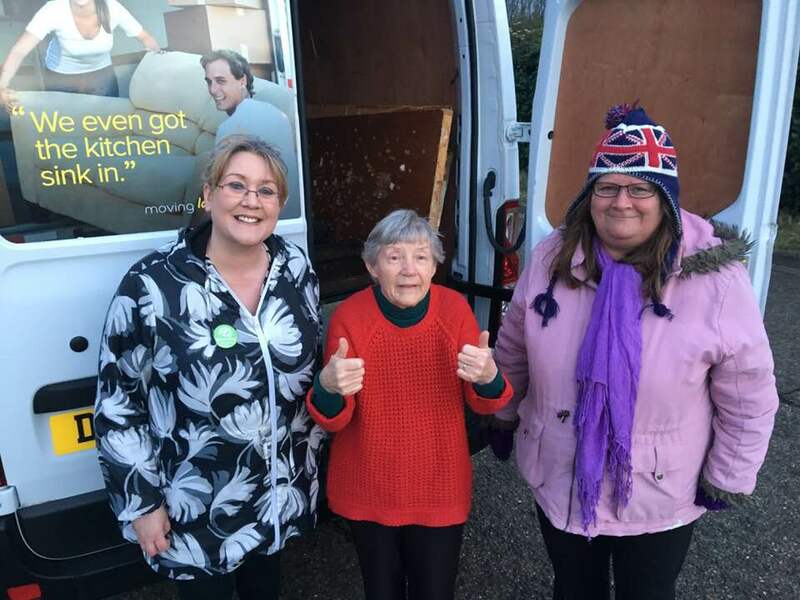 on their doorsteps to find out what they need for their city council. Alex is already a familiar face to many of you, as he accompanied me when I knocked on doors in our ward during 2017 and 2018. I can't say enough good things about Alex. 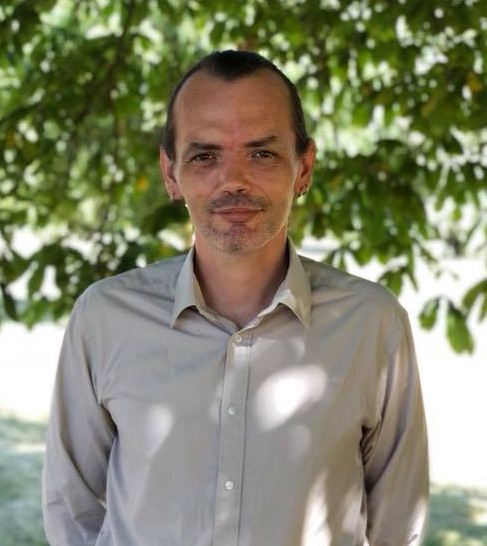 He is already a local legend, having been the one who encouraged me to stand as a Green Party candidate in the Peterborough City Council Elections in 2016. 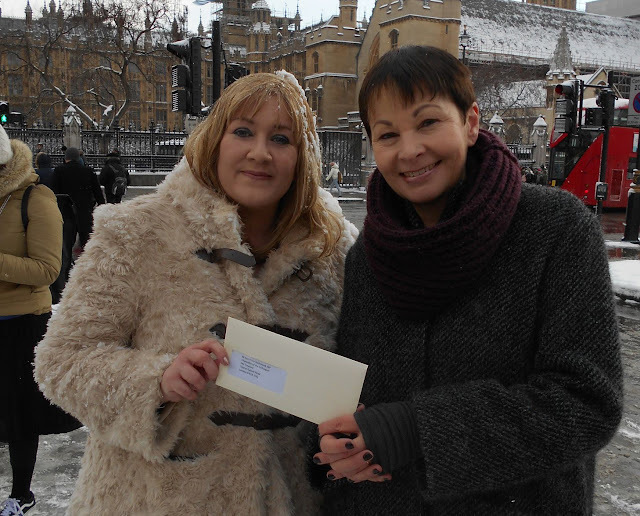 Given I had never been a member of any political party (and never voted Green!) up to that point, this is an indicator of Alex's exceptional ability influence and persuade! I have witnessed first hand on many occasions his commitment to making life better for the people of Orton Longueville ward. meets on the first Thursday of every month. Like me, Alex has been a parish council for both Orton Longueville and Orton Waterville parishes for over two years. 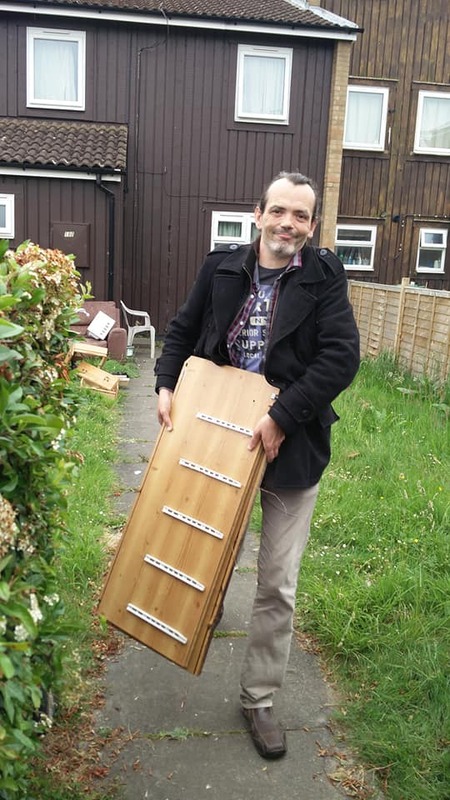 If you've ever come along to a parish council meeting you may well have seen Alex in action. We have all been very impressed by Alex's careful attention to the details that really matter, particularly when analysing contracts and policy documents. He is definitely the guy you want standing in your corner and has earned a lot of respect from everyone he works with. While he is impressive in meetings, Alex is just as comfortable working out in the community. 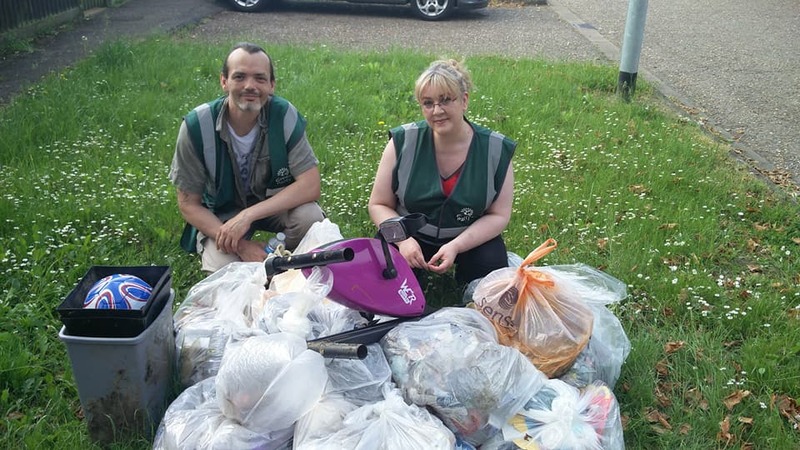 He has accompanied me on more litter picks that I can remember, and dedicates a few hours ever Saturday to help me to do outreach work in my ward. His thoughtfulness and willingness to put other people before himself make him very easy to work with and I confess that I have come to rely on him. 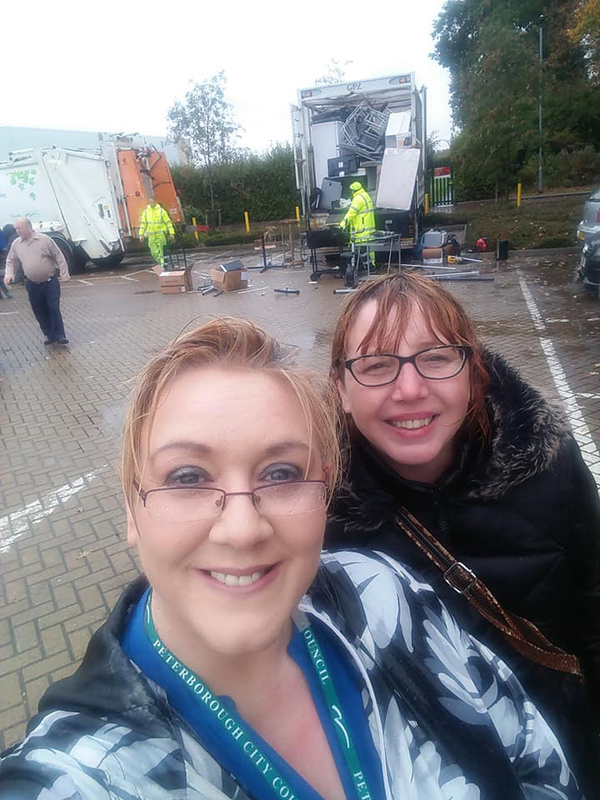 Alex with Peterborough City Councillor Julie Howell outside the post office in Herlington. 40-year-old Alex lives in Stagsden in Orton Goldhay, and is well-known to people living in the area. He recently got himself an allotment and spends a lot of time there, cultivating an impressive range of vegetables and chatting with other allotment holders from the area. During the week, Alex works at Peterborough Regional College where he helps students to reach their full potential. He is also a well-known face on Peterborough's art scene and holds a degree in event management. Alex has lived in Peterborough for twenty years, and lived in Orton Brimbles before moving to Orton Goldhay so has a really impressive knowledge of the local area. 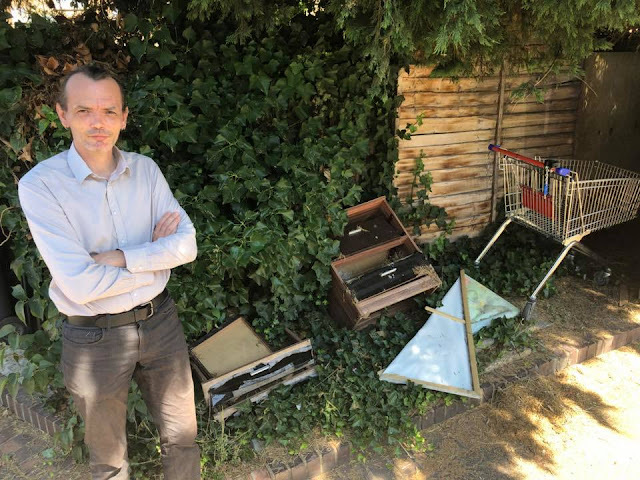 He is very concerned about the blight of fly-tipping and littering, particularly in parts of Goldhay and Malborne, and he is campaigning to save the post offices in Herlington and the Orton Centre. If you live in Orton Longueville ward (Orton Goldhay, Orton Malborne, Longueville, The Village, Botolph Green) I warmly encourage you to vote for Alex at the election on 2nd August. I know from experience that local council wards need diversity and that a single Green councillor can provide much-needed scrutiny. Alex will ask the questions that will make life better for residents and is fully committed putting residents first and serving you to the best of his ability. parish council's bulky waste collection point.